In the spring of 2014, I dusted off my 35mm to bring it to the desert. The lush green cacti and red rock against a ceruleum blue sky mesmerizes me every time. 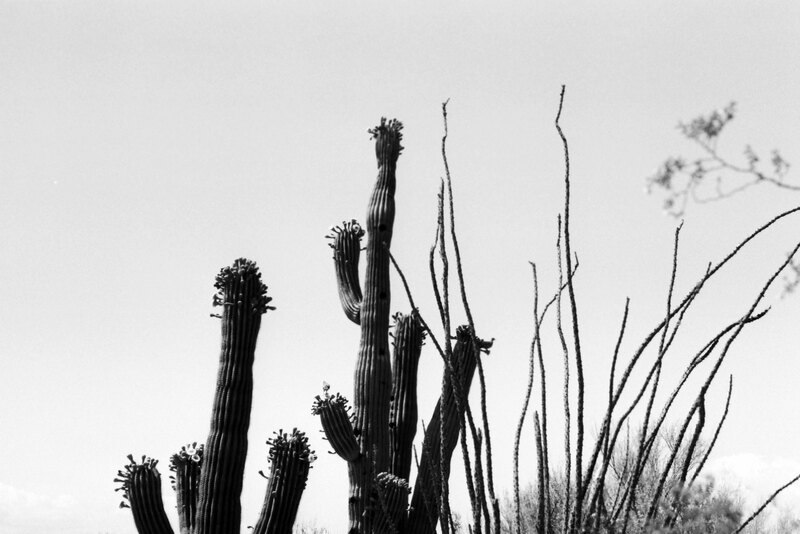 Although, this time in the Catalina Foothills of Arizona I only brought rolls of black and white film. The hot sun and multi-textured landscapes make for some really astounding contrasts.